When you think about sea monsters you think of the giant creatures in movies or in books. I came across these series of real-life "sea monsters" pictures that I wanted to share with you. 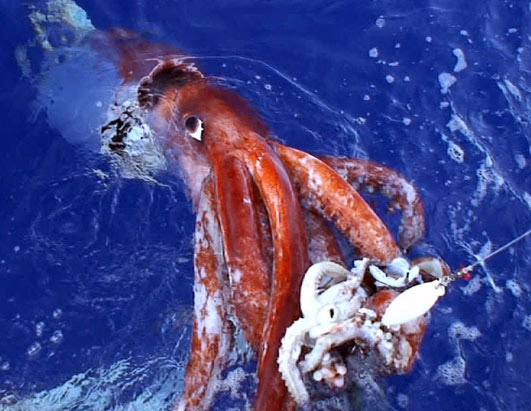 At the time of this 2007 photo, Japanese scientists had captured what may be the first images of a live giant squid. A Cambodian fisherman holds a giant stingray fish on the Mekong River near the Cambodian/Vietnam border on Dec. 10, 2002. 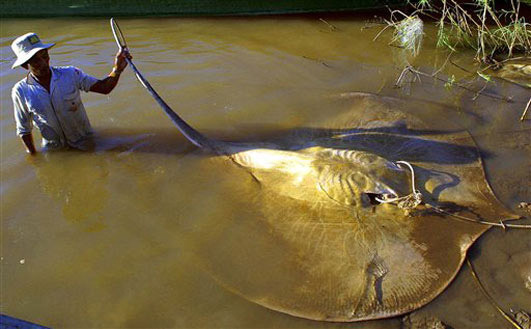 The giant stingray may be the largest freshwater fish species in the world. 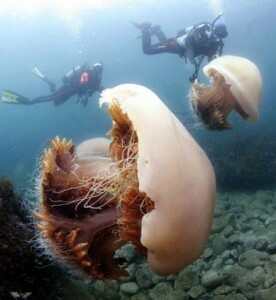 Two giant ''echizen'' jellyfish are seen swimming in the Sea of Japan five meters below the surface off the Town of Echizen, Fukui Prefecture. Local fishermen blame the creatures for damaging their fishing nets. dang! that sting ray is the biggest thing i have ever seen. wow i am really facinated by jelly fish and that picture was amazing! the stingray is unbelievable! These photos are jawdropping!! Truly incredible.